On this page we have the Wordscapes Answers for Pebble 1 [Coast]. Check the Wordscapes solution for your level now. We have all the words you need in every category to finish each level. Check the Wordscapes answer you are looking for below. And if you need the solution for a different level then we have it also. These answers are valid for every device, so it doesn’t matter if you are playing on Android or iPhone/iOS. If you enter your letters here, then we will show all the possible words that apply to Wordscapes. 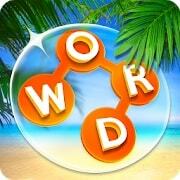 The search engine above is the easiest way to find your Wordscapes solutions. Scroll down to go back to the other categories. Like this page if you found your Wordscapes answer here, we’d like to here from you!